Health • GOP leaders say low-income Utahns can be covered without accepting $524M from the feds. Al Hartmann | Tribune file photo Speaker of the House Becky Lockhart . Tribune file photo Utah Gov. 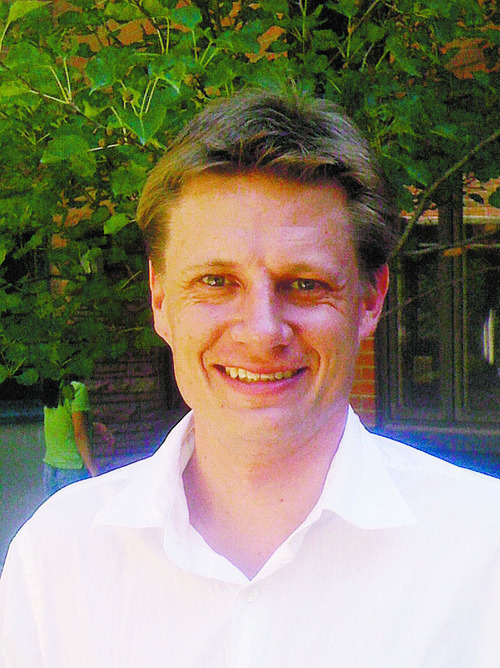 Gary Herbert Lincoln Nehring is policy director for the Utah Health Policy Project. 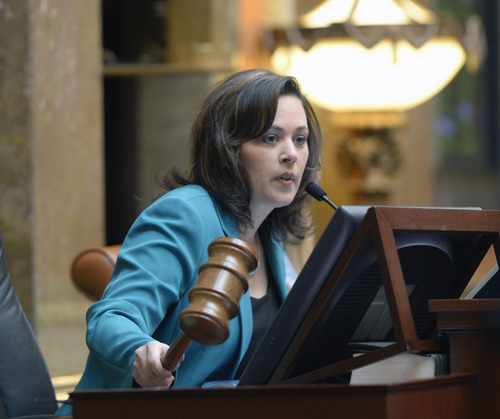 Al Hartmann | The Salt Lake Tribune Speaker of the House Becky Lockhart starts the 45-day long 2014 Utah legislative session with a bang of the gavel in the House of Representatives Chambers Monday January 27. Steve Griffin | The Salt Lake Tribune Dental clinic manager and hygienist, Kathy Harris, cleans Mary Hogle-Jahn's teeth for the first time in seven years, at the new 4th Street Dental Clinic in Salt Lake City, Friday, January 17, 2014. House Republican leaders unveiled a stripped-down proposal for covering uninsured Utahns, forgoing about $524 million in federal Medicaid expansion dollars and instead creating a narrow, state-run program to cover parents below the poverty line or those with serious medical conditions. 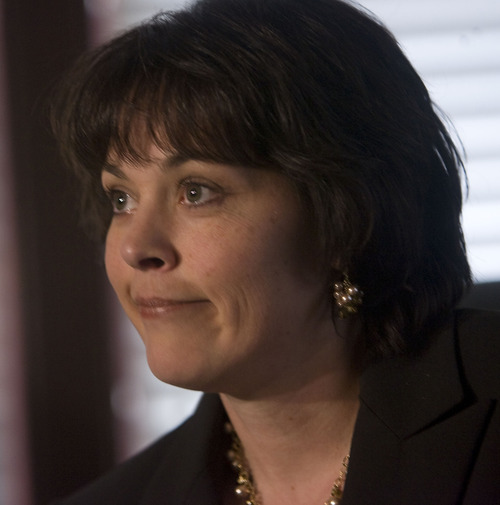 House Speaker Becky Lockhart, R-Provo, said legislators have been given a "false choice," between taking hundreds of millions of federal dollars or doing nothing. "What we&apos;re trying to propose through this state-based [alternative] is another option," said Lockhart. "It&apos;s not just a political point. It&apos;s a fiscally responsible point. … We are trying to be fiscally responsible in the state of Utah. We&apos;re trying to avoid getting more and more attached to an unsustainable revenue source coming out at the federal level." The goal of the plan is to facilitate coverage for some portion of the 54,000 Utahns, mostly single adults, below the poverty line  $11,670 for an individual, $23,850 for a family of four  who are currently not eligible for Medicaid. The state would set aside between $30 million and $35 million to either subsidize the purchase of insurance or to defray health costs through a sort of flexible spending plan, with the medically frail or parents of children getting top priority. It&apos;s unclear how many people the proposal would be able to cover. Rep. Dean Sanpei, R-Provo, said it is possible the state will be able to give all of those below poverty some level of benefits, but not full Medicaid coverage. Those who are above the poverty line would be eligible for federal subsidies to purchase health care that, in some instances, would cover nearly the entire cost of the policy. In the process, Utah would pass up about $524 million each year in federal dollars that could flow to the state if it were to adopt full Medicaid expansion, according to figures prepared by legislative attorneys. Tax money • "That&apos;s money that we as taxpayers are paying in federal taxes and won&apos;t get back. Now they&apos;re looking to layer on a state tax," said Kristy Chambers, CEO of Fourth Street Clinic, which serves Utah&apos;s homeless population. "This is more money to serve fewer people." Only about 20 percent of Fourth Street&apos;s patients now qualify for Medicaid; under the expansion 80 percent would, said Chambers. The clinic doesn&apos;t bill private insurance and would have to "gear up" under the House plan to do that. Utah hospitals share lawmakers&apos; concerns about the Affordable Care Act&apos;s price tag, which they&apos;re helping to pay with $1.5 billion in Medicare payment cuts over 10 years. But those cuts are already happening  yet more money lost if Utah doesn&apos;t expand Medicaid, said David Entwistle, CEO of University of Utah Hospitals and Clinics. Hospitals favor an Arkansas-style alternative that would allow Utah to draw its share of federal funding while using it to buy private insurance for impoverished Utahns. "The more we can support private insurance, the better off we&apos;ll be. We still struggle to get a lot of patients to sign up for Medicaid. It&apos;s also problematic in terms of what it covers," he said. Low-income advocates say the House plan doesn&apos;t pencil out. "With so few dollars available, two things will happen. We&apos;ll cover fewer people and we&apos;re going to have to provide them with a leaner benefit," said Lincoln Nehring, health policy analyst at Voices for Utah Children. Spread across 54,000 Utahns, $35 million equates to $650 per person. That&apos;s less than a third of what a 35-year-old in Salt Lake City pays for the cheapest bronze-level plan on the federal insurance marketplace, HealthCare.gov  which carries a $6,000 deductible. "We&apos;re talking about individuals in poverty here with few resources," Nehring said. "We&apos;re not offering them health coverage. We&apos;re basically offering them an earned income tax credit." Laura Polacheck, associate state director of AARP, said the group believes that it is "necessary to cover all adults under 100% of the federal poverty level under Medicaid. A state-run plan can&apos;t make that promise." Bridge to 2017 • The proposal would serve as a two-year pilot project until 2017, when the state would be eligible to apply for a waiver that might allow the state to receive federal funds without the restrictions on how it could be spent. "This concept is a bridge to 2017 when we can ask for" latitude, said Rep. Jim Dunnigan, R-Taylorsville, co-chairman of the Legislature&apos;s Health Reform Task Force. The Republican House leadership plan, presented to the caucus Tuesday, is an opening bid of sorts. Gov. Gary Herbert has yet to stake out his preferred approach other than to say that those below poverty should get help and "doing nothing is not an option." 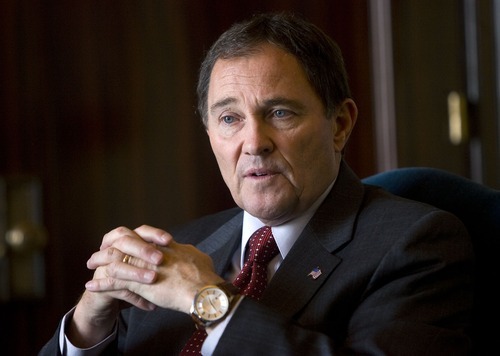 He has also expressed more flexibility on taking the federal money, saying in his State of the State address that Utahns are paying the taxes and the "debate should not be about federal dollars versus state dollars." Herbert met Tuesday with Lockhart to get a preview of the House plan, but his office said he could not comment until he&apos;d been provided with more details on the proposal. Likewise, Republican senators have yet to coalesce behind a plan. "I think we&apos;re getting close to something we can get behind, but we&apos;re not there yet," said Senate Majority Leader Ralph Okerlund, R-Monroe. "We&apos;re still looking at three or four ideas." Those options range from full Medicaid expansion to doing nothing aside from easing liability laws to encourage an expansion of the state&apos;s charity care network, an option urged by Sen. Allen Christensen, R-Ogden, a dentist and co-chairman of the social services budget committee. Utah is one of just six states that has yet to make a decision on whether to accept the federal Medicaid money.